Whenever I am in doubt as to what type of card to make, I make a birthday card. Birthday cards are the cards I give most often so I always try to keep a good stash of them on hand. 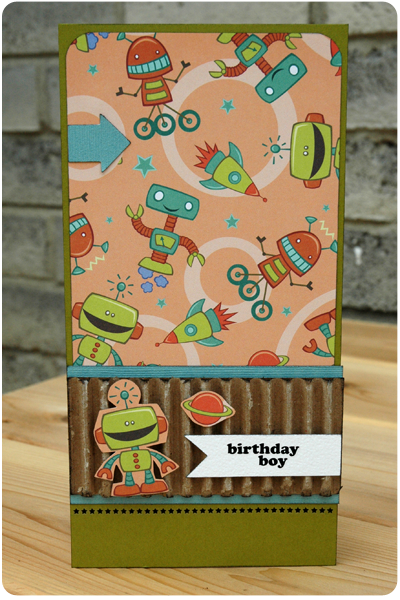 I made these two birthday cards using this adorable robot paper that I found on clearance at Michael's. 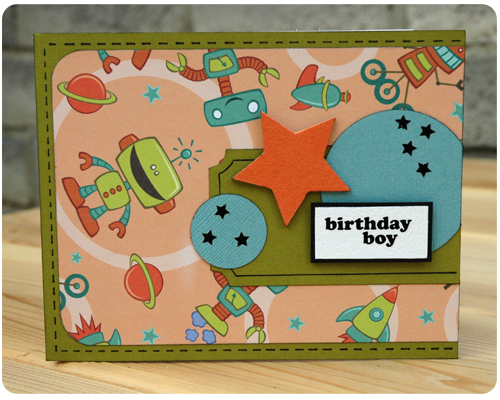 I don't usually buy robot paper - it is definitely boyish and not much use to me as the mom of two girls - but I did this time because I am trying to make a few more cards that are appropriate for boys. What type of cards do you make and/or give most often?